If you’ve been following my blogs, or if you know research on tutoring, you know that tutoring is hugely beneficial to the students who receive it. Recent research in both reading and math is finding important impacts of forms of tutoring that are much less expensive and scalable than the one-to-one tutoring by certified teachers that was once dominant. A review of research my colleagues and I did on effective programs for struggling readers found a mean effect size of +0.29 for one-to-small group tutoring provided by teaching assistants, across six studies of five programs involving grades K-5 (Inns, Lake, Pellegrini, & Slavin, 2018). Looking across the whole tutoring literature, in math as well as reading, positive outcomes of less expensive forms of tutoring are reliable and robust. My focus today, however, is not on children who receive tutoring. It’s on all the other children. How does tutoring for the one third to one half of students in typical Title I schools who struggle in reading or math benefit the remaining students who were doing fine? Imagine that Title I elementary schools had an average of three teaching assistants providing one-to-four tutoring in 7 daily sessions. This would enable them to serve 84 students each day, or perhaps 252 over the course of the year. Here is how this could benefit all children. Teachers justifiably complain about the difficulty of teaching highly diverse classes. Historically, they have dealt with diversity, especially in reading, by assigning students to top, middle, and low ability groups, so that they can provide appropriate levels of instruction for each group. Managing multiple ability groups is very difficult, because two-thirds of the class has to do seatwork (paper or digital) during follow-up time, while the teacher is working with another reading group. The seatwork cannot be challenging, because if it were, students would be asking questions, and the whole purpose of this seatwork is to keep students quiet so the teacher can teach a reading group. As a result, kids do what they do when they are bored and the teacher is occupied. It’s not pretty. Sufficient high-quality one-to-four reading tutoring could add an effect size of at least +0.29 to the reading performance of every student in the low reading group. The goal would be to move the entire low group to virtual equality with the middle group. So some low achievers might need more and some less tutoring, and a few might need one-to-one tutoring rather than one-to-four. If the low and middle reading groups could be made similar in reading performance, teachers could dispense with within-class grouping entirely, and teach the whole class as one “reading group.” Eliminating seatwork, this would give every reading class three times as much valuable instructional time. This would be likely to benefit learning for students in the (former) middle and high groups directly (due to more high quality teaching), as well as taking a lot of stress off of the teacher, making the classroom more efficient and pleasant for all. Ask any teacher who are the students who are most likely to act out in his or her class. It’s the low achievers. How could it be otherwise? Low achievers take daily blows to their self-esteem, and need to assert themselves in areas other than academics. One such “Plan B” for low achievers is misbehavior. If all students were succeeding in reading and math, improvements in behavior seem very likely. This would benefit all. I remember that my own very well-behaved daughter frequently came home from school very upset because other students misbehaved and got in trouble for it. Improved behavior due to greater success for low achievers would be beneficial to struggling readers themselves, but also to their classmates. Improved outcomes in other subjects. Most struggling students have problems in reading and math, and these are the only subjects in which tutoring is ever provided. Yet students who struggle in reading or math are likely to also have trouble in science, social studies, and other subjects, and these problems are likely to disrupt teaching and learning in those subjects as well. If all could succeed in reading and math, this would surely have an impact on other subjects, for non-struggling as well as struggling students. Contributing to the teacher pipeline. In the plan I’ve discussed previously, teaching assistants providing tutoring would mostly be ones with Bachelor’s degrees but not teaching certificates. These tutors would provide an ideal source of candidates for accelerated certification programs. Tutors who have apparent potential could be invited to enroll in such programs. The teachers developed in this way would be a benefit to all schools and all students in the district. This aspect would be of particular value in inner city or rural areas that rely on teachers who grew up nearby and have roots in the area, as these districts usually have trouble attracting and maintaining outsiders. Reducing special education and retention. A likely outcome of successful tutoring would be to reduce retentions and special education placements. This would be of great benefit to the students not retained or not sent to special education, but also to the school as a whole, which would save a great deal of money. Ultimately, I think every teacher, every student, and every parent would love to see every low reading group improve in performance enough to eliminate the need for reading groups. The process to get to this happy state of affairs is straightforward and likely to succeed wherever it is tried. Wouldn’t a whole school and a whole school system full of success be a great thing for all students, not just the low achievers? Two Years of Second Grade? Really? In a recent blog, Mike Petrilli, President of the Fordham Institute, floated an interesting idea. Given the large numbers of students in high-poverty schools who finish elementary school far behind, what if we gave them all a second year of second grade? (he calls it “2.5”). This, he says, would give disadvantaged schools another year to catch kids up, without all the shame and fuss of retaining them. At one level, I love this idea, but not on its merits. One more year of second grade would cost school districts or states the national average per-pupil cost of $11,400. So would I like to have $11,400 more for every child in a school district serving many disadvantaged students? You betcha. But another year of second grade is not in the top hundred things I’d do with it. Just to give you an idea of what we’re talking about, my state, Maryland, has about 900,000 students in grades K-12. Adding a year of second grade for all of them would cost about $10,260,000,000. If half of them are, say, in Title 1 schools (one indicator of high poverty), that’s roughly $5 billion and change. Thanks, Mike! To be fair, this $5 billion would be spent over a 12-year period, as students go through year 2.5, so let’s say only a half billion a year. What could Maryland’s schools do with a half billion dollars a year? Actually, I wrote them a plan, arguing that if Maryland were realistically planning to ensure the success of every child on that state tests, they could do it, but it would not be cheap. What Maryland, or any state, could do with serious money would be to spend it on proven programs, especially for struggling learners. As one example, consider tutoring. The well-known Reading Recovery program, for instance, uses a very well-trained tutor working one-to-one with a struggling first grader for about 16 weeks. The cost was estimated by Hollands et al. (2016) at roughly $4600. So Petrilli’s second grade offer could be traded for about three years of tutoring, not just for struggling first graders, but for every single student in a high-poverty school. And there are much less expensive forms of tutoring. It would be easy to figure out how every single student in, say, Baltimore, could receive tutoring every single year of elementary school using paraprofessionals and small groups for students with less serious problems and one-to-one tutoring for those with more serious problems (see Slavin, Inns, & Pellegrini, 2018). Our Evidence for ESSA website lists many proven, highly effective approaches in reading and math. These are all ready to go; the only reason that they are not universally used is that they cost money, or so I assume. And not that much money, in the grand scheme of things. I don’t understand why, even in this thought experiment, Mike Petrili is unwilling to consider the possibility of spending serious money on programs and practices that have actually been proven to work. But in case anyone wants to follow up on his idea, or at least pilot it in Maryland, please mail me $5 billion, and I will make certain that every student in every high-poverty school in the state does in fact reach the end of elementary school performing at or near grade level. Just don’t expect to see double when you check in on our second graders. Hollands, F. M., Kieffer, M. J., Shand, R., Pan, Y., Cheng, H., & Levin, H. M. (2016). Cost-effectiveness analysis of early reading programs: A demonstration with recommendations for future research. Journal of Research on Educational Effectiveness, 9(1), 30-53. Slavin, R. E., Inns, A., Pellegrini, M. & Lake (2018). Response to proven instruction (RTPI): Enabling struggling learners. Submitted for publication. Is it possible to legislate reading proficiency? An increasing number of states seem to think so. A recent article in the New York Times reported on laws in effect in 14 states (so far) requiring that third graders be reading at grade level or be retained. The article was about a six-week summer school program in Charlotte-Mecklenburg, North Carolina, for students at risk for retention. About 1,500 third graders are taking summer school, or one in eight of Charlotte’s third grade population. The problem of education reform is not a lack of good ideas, but a lack of good ideas sensibly implemented. 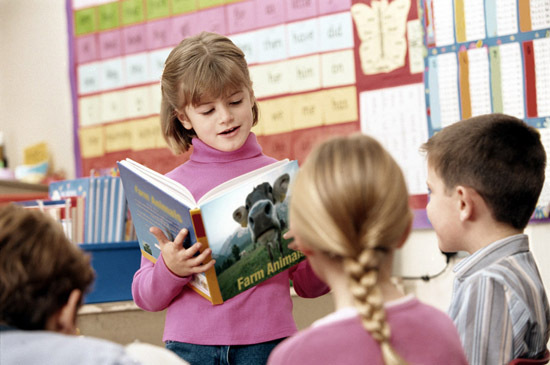 Ensuring that virtually all children read by third grade is an essential and attainable goal. Reading by third grade is indeed a key predictor of high school graduation. I understand and sympathize with the state legislators who passed these laws. They were justifiably impatient with the continuing failure of school systems to solve the early reading problem. Sad to say, however, the strategies being used in the states with mandatory retention laws are misguided. First, as the article notes, most of the summer school children are far behind, and six weeks of summer school will not bring them to grade level. Every educator knows that the struggling children needed help from pre-kindergarten to grade 3, not just summer school at the end of three years of failure. Other than Florida, the original mandatory retention state, other states have provided few resources to help children meet the standards for promotion. Second, retention is rarely an effective or necessary policy. It looks good for a while because the retained children are a year older than their (new) classmates. For example, a ten-year-old in fourth grade immediately gains in apparent performance if transferred to the third grade — the score doesn’t change, but the reference group does. However, these apparent benefits wear off in a few years. This result has been found in many studies over the years, and the article reported that Florida, which has had a mandatory retention policy since 2002, reported retained children performing better than similar (but younger) non-retained children for several years, but by eighth grade the differences had faded away. Third, both summer school and retention are incredibly expensive solutions. Retention means giving children one more year of elementary school, at a cost of roughly $10,000 per child, using national average per-pupil costs. Summer school is also an expensive solution, as it requires six more weeks to employ teachers and keep schools open. Further, the evidence for the effectiveness of summer school is weak. Finally, and most importantly, there are much more effective strategies for ensuring that virtually all children are reading by third grade. In fact, I counted 28 separate elementary reading programs with data accepted by the What Works Clearinghouse. These programs all meet the U. S. Department of Education’s EDGAR standards for “strong” or “moderate” evidence of effectiveness. All are being actively disseminated today. The programs include one-to-one tutoring by teachers or paraprofessionals, one-to-small-group programs, classroom programs, technology approaches, and whole-school reform approaches, including our Success for All program. There were no summer school or after school programs that made the list. Besides their evidence of effectiveness, these approaches have several important benefits. They are designed to be replicated and are ready to go. Also, they use staff already in the school, which both adds greatly to cost-effectiveness and improves the skills of the participating staff for all aspects of their jobs. Amazingly, there are states during difficult economic times that are willing to spend an additional $10,000 per child to retain thousands of children, not to mention costs of summer school and other last-minute remediation. Wouldn’t it make more sense to use these resources instead on proven and replicable approaches that could actually solve the problem on a scale that would matter? Early reading is perhaps the one area in which proven programs of all sorts are most available. Given the well-founded concern about third grade reading, you’d imagine that policymakers would be rushing to implement proven approaches. But the reality is otherwise.